Bethel Holiness Church is a traditional Holiness Church which was founded in 1977 by Reverend and Mrs. Robert E. Thompson Sr. 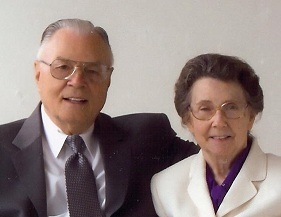 Together; they ministered in the Columbus area for 40 years until their retirement in the fall of 2008. Their ministry saw the purchase of the present campus located on Highway 31 just outside Columbus, Indiana. The present church sanctuary was constructed in just 7 weeks after laying the foundation and has been the place of worship through the present time. The campus is home for the parsonage, staff residences, school & gym, fellowship hall and a maintenance/woodshop facility. After Rev. Robert Thompson Sr.’s retirement in 2008, Rev. & Mrs. Nathan D. Shockley came to serve as pastor. The Shockley’s have four children, Quint, Adam, Kyrsta, & Connor. Rev. 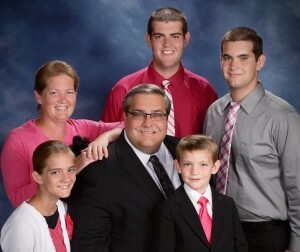 Shockley was a banker in Kentucky for many years prior to accepting God’s call to full-time ministry. He pastored for 13 years in St. Louis, Michigan where he also served as District Superintendent. Along with his duties as pastor of Bethel Holiness Church he is General Secretary/Treasurer, as well as, the General Youth President of the Wesleyan Holiness Association of Churches. Our pastor and wife are concerned for the overall well-being of people. He faithfully ministers the Word of God in our services and does his best to shepherd our people through the difficulties and problems of life. His wife is a wonderful co-worker with him, joining in the ministry to our congregation through counseling, caring, and laboring in the various aspects of the church’s programs. They strive to be accessible and desire anyone with a problem or need to come to them for help.